We left the San Francisco Bay Area, with its crowds, traffic and focused, hurried people and went east. We stopped at Whole Foods in San Mateo, where a tiny parking lot and too many cars had Spencer grabbing his hat and hopping up and down in the front seat. He wasn’t even driving. With our fellow Savory Network hubbers from the Tallgrass Network in Kansas, Julie and Chloe, and all our gear crammed into our little “Bo Peep” (Maezy named our car) we left the freeways for two-lane roads through rolling, oak-covered hills and headed to Paicines Ranch in the tiny town of Paicines near Hollister, California. Spencer recovered quickly from the stress of city-riding (not even driving) and entertained us with stories. We discussed Chloe, the youngest of the three generations involved in the Tallgrass Network, coming to study with us this summer. She wants to train horses. Luckily for Chloe, we just purchased five weanlings from our neighbor who raises ranch horses. They will need lots of ground work and love next summer. Paicines Ranch hosted the hub gathering. This is a two-day meeting of the global Savory Network hub leaders. We make decisions about how we operate as a network, get to know each other and collaborate. As we pulled into Paicines Ranch late Sunday evening, the rest of the network dined near the huge white barn on the ranch, which was converted to a meeting center. We joined them outside and enjoyed grassfed tri-tip, roasted sweet potatoes and heirloom tomato and beet salad. This network of people who love the land and open spaces clearly had been in the city too long. Everyone seemed to quietly soak in the silence of the cool night. The hub network might more aptly be named the hub family—as this meal together felt more like a family reunion than a gathering of mostly strangers. Sallie Calhoun owns Paicines Ranch and manages it holistically. Elaine Patarini hosted us-making sure we were comfortably housed in the guest cottages on the ranch, had all that we needed and were having fun. We are so grateful to Sallie, Elaine and the rest of the crew at Paicines Ranch for a wonderful stay. The ranch was a Spanish land grant ranch, like most of California in the early days. It was then a Mexican land grant ranch and later the playground of an Irish real estate tycoon. It was traded amongst the wealthy (Eleanor Roosevelt even stayed there) many times until in 2001, Sallie and Matt Christiano bought the ranch. Sallie told us this story as we walked on a small tour of the ranch with her. We crossed the “mighty San Benito River” which was a dry gully. We learned of her plans to convert the farmland leased by Earthbound Organics to pasture cropping and how she was advised by experts to spray invasive weeds, but she saw them differently. They were helping pollinators, sending their deep tap roots into the soil to break capping and capturing sunlight on what would otherwise be bare ground. We appreciate her ability to see things differently. The Savory Network hub leaders gather for introductions at Paicines Ranch. Will Harris and Precious Phiri, hub leaders join other Savory Network leaders at the hub gathering October 2015. Marta and Ricardo enjoy Sallie Calhoun’s tour of Paicines Ranch. Sallie Calhoun explains how Paicines Ranch will convert farmland to pasture cropping using holistic management. Guest housing at Paicines Ranch. The gathering is a chance to meet the leaders of new hubs and a chance to connect with old friends. Spencer and I were part of the 2014 class of hubs. We hadn’t yet met the 2015 class and some from 2013. We met 2015 hub candidates Will Harris and his two daughters, Jenni and Jodi, who own and manage White Oak Pastures. I read Gone with the Wind in sixth grade—as soon as my mother would let me—and spent many free moments of my childhood pretending to be Scarlett O’Hara, so meeting real Georgia natives was a highlight for me (in fact, their relatives started White Oak Pastures right after the Civil War). If you haven’t heard Will give a speech yet, I highly recommend it. He’s the real deal. Check out their regenerative agriculture event December 11 to 12. Allan Savory will be there. You can participate in a pasture walk on this historic place for only $30. It’s worth that to just meet this wonderful family. The hub network hails from across the globe. Despite our outward differences in culture and language, it is amazing how connected we are in terms of values and shared love of the land. As I listened to Mario Pedraza Ruiz, a vaquero from the Sierra Gorda hub in Mexico, describe his childhood, (“crazy” was used as an adjective a few times) and his love of horses, I realized he could have been describing my childhood. I grew up surrounded by animals (wild and domestic) and a large, loving family in a rural mountain valley where there were far more cattle than people. We reconnected with our friend from Sweden, Marta and met a young sheep herder from this hub named Oskar who manages the grazing contracts near the largest ski resort in the Sweden. Marta manages a direct marketing grassfed meat company that serves Norway and Sweden. We got a lot of work done together. On the second day we broke into groups to make decisions about key operating procedures like how we would communicate, how we develop new products and how we govern ourselves as a network. I participated in the communication working group and Spencer joined new product development. The communication group’s work was facilitated by the leaders of the United Kingdom Hub, Shelia and Chris. We used the Holistic Context and decision making framework to structure our work together. It was amazing how much we accomplished in a few hours, how much participation we garnered and how empowered everyone felt leaving the session. Chris said, “The quality of life statement creates a psychological space to image what we want. Otherwise, nature fills the void.” I like that. Allan Savory facilitated the formation of the network’s Holistic Context. He reminded us in his quiet, solemn way that a holistic context must have more meaning than anything else in your life. It must be simple and to the point. Allan described himself as “mostly serious,” but we did catch him having a bit of fun at the dinner party where he played his first pinball game. running bug. I enjoy our shared values of health—not only for ourselves but also the land. While Spencer attended the Colin Seis pasture cropping workshop, the day after the hub gathering ended, I went into the tiny town of San Juan Bautista and spent the morning exploring and catching up with one of my best friends. I appreciate that the work we do with the Savory Institute is hard and the biggest challenge of our lives really, but it is balanced. It is whole. The network created a culture of humanity, love and grace. We do not treat ourselves or each other like machines that must output consistent performance, but as humans who value social connections, who need family and friends to be in their lives, who are intimately connected to the land. What a wonderful life. Tre Cates, Savory Institite COO, said we each came to the network because of a moment of connection to a purpose greater than ourselves. The network must be a manifestation of this. Without this purpose, it simply doesn’t work. How do we not become institutionalized (defined by lacking humanity, common sense and defending established thoughts and habits)? How do we unleash our collective passion for building a bright future for our world? Wherever this may lead us? 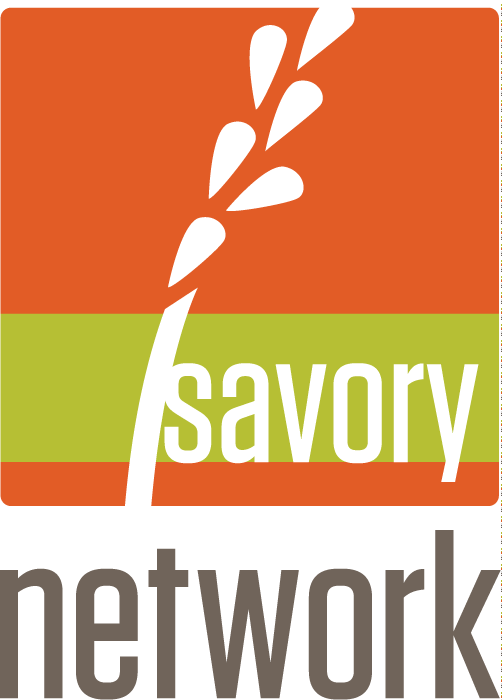 What we are attempting to do with the Savory Network is totally new. We don’t know if we will succeed. Scary. Thrilling. But. I believe in this group of people and the work we’ve signed up to do—so much that Spencer and I made it our life’s work.